Remember the days when backpacks were only for college students? Well. Clearly those days are gone and nowadays you will see a new generation of backpacks on young professionals making their way to work in the mornings. You’ll see people with backpacks checking into boutique hotels for their weekend breaks, but you’ll also see outdoor enthusiasts taking their back packs up into the mountains. And last, but not least even the most fashion-forward cannot deny the practicability of a backpack these days and luckily it is no longer necessary to compromise style for functionality. How to find the right vegan backpack? So you’ve decided to invest in a new vegan backpack! That’s great! Now that you’re in the market for a new backpack, we recommend you take a moment to think about what you want from your bag. Buying a backpack may not seem like a big deal at first, but when you eventually end up with a closet full of backpacks, that somehow don’t seem to be quite right on way or another, you’ll start to be more conscious, when thinking about a backpack. 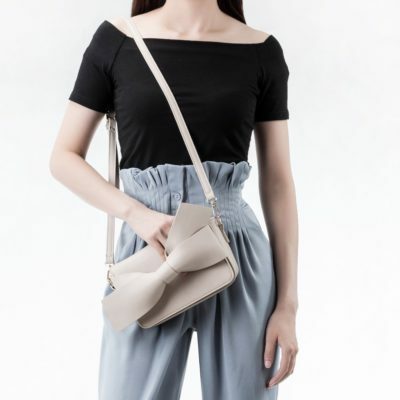 When buying other bags like clutches or crossbody bags, functionality often isn’t quite as important as their look. 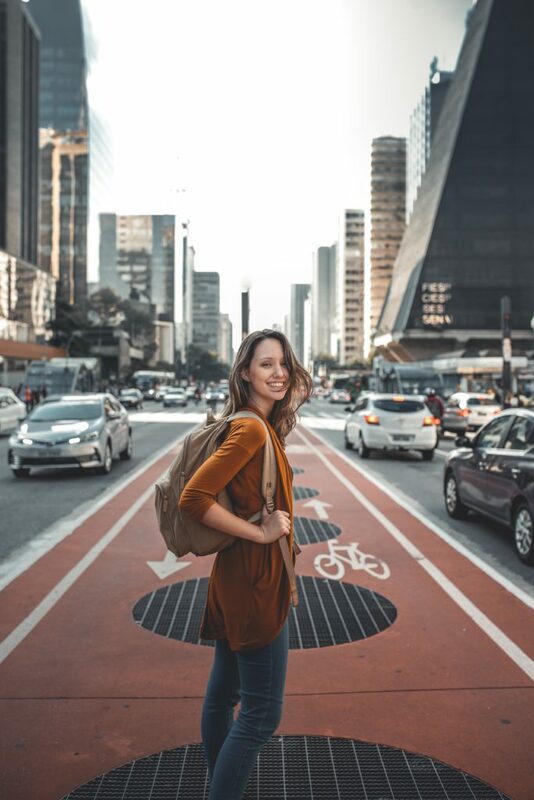 With backpacks it’s different, so you should carefully consider the “use case” and properties you’re looking for to help you narrow down the choice and make sure you pick the perfect vegan backpack. Size matters. Especially when it comes to backpacks. Depending on whether you’re looking for a commuter backpack or a backpack for weekend trips, your needs here might be quite different. Is it most important, that the bag fits a laptop and is practical or does it need to be spacious enough to pack a weekend wardrobe and toiletries? Once you’re found that perfect backpack you want it to last forever. So when looking for a vegan backpack you wanna make sure you pick a bag with good reviews when it comes to durability. 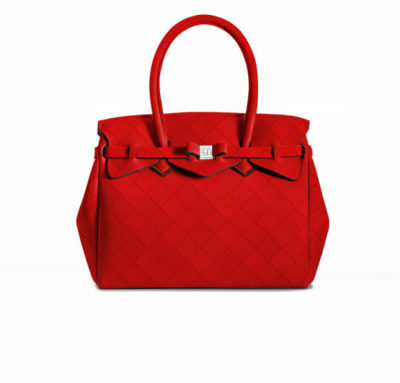 You want your bag to be robust and of good quality. 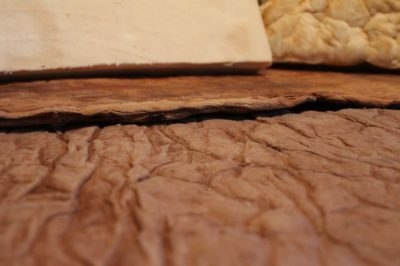 You want to make sure it is well made and isn’t affected by wear and tear after only a few short months. Functionality is key when it comes to backpacks. How many compartments does it have? Is there space or a separate compartment for your laptop? Can bulky items be attached? Does it have any “secret” compartments, that prevent theft? Are my essentials easily accessible? Depending on what you plan to use your new vegan backpack for, you might want to ask yourself some of those questions. And last, but not least you obviously want your new backpack to look great! No matter how practical it is: If you’re not really in love with the color and design of your bag, it’ll probably end up in some corner collecting dust instead of being your trusted companion. When choosing a new vegan backpack you want to make sure it ticks all the boxes, when it comes to the features you want. Don’t compromise here. If a backpack doesn’t have one of the features, don’t get it. You’ll regret it down the road. I myself own a backpack, which is beautiful and functional. When buying it however I didn’t make sure the straps were adequate and so now, when the bag gets heavy, it is pretty uncomfortable to wear, so I got a new one. Don’t let that happen to you! As you can probably already tell, knowing what you want is important when you’re in the market for a vegan backpack. In order to make it easier for you to come up with that list of features you want in your new bag, here’s an overview of some of the most popular ones and why they matter. Don’t repeat my mistakes! Having a bag, that can be comfortably carried around evern when it gets heavy is really important. Make sure the straps are wide and padded, if you expect your bag to be heavy most of the time. If you’re a light packer, this feature is probably not as important for you. The German’s have a saying that goes something like this “Organization is the half life” (Organisation ist das halbe Leben.). And yes, sometimes it pays off to listen to a german, when it comes to organization. 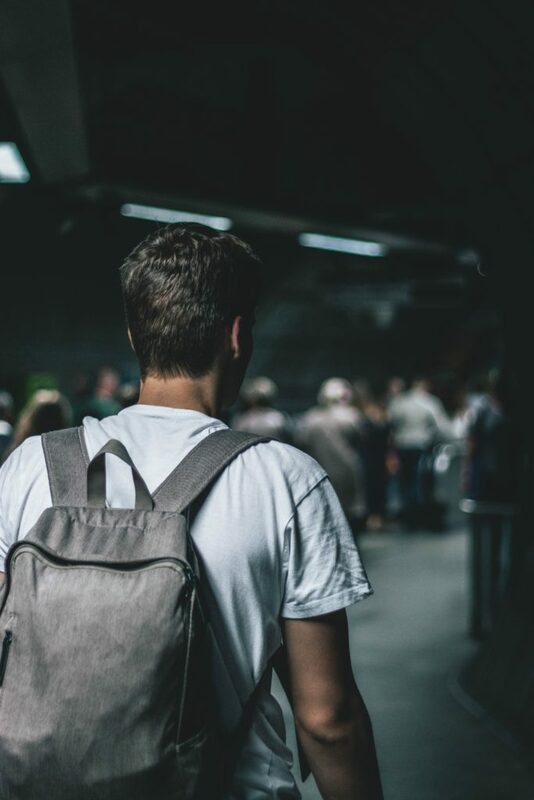 You may not know it now, but when you’re looking for your wallet at the cashier and there’s already a lot of people behind you waiting, you’ll appreciate a functional backpack, that has lots of compartments to help you stay organized. You’ll want to make sure that there’s enough compartments for all your essentials like money, phone, keys and maybe also tickets and passport, if you’re looking for a travel backpack. Especially if you’re planning to travel with your bag, it might be worth getting one that has lockable zippers, so you can keep your valuables safe wherever you go. Staying hydrated is important and it is just SO much easier, if that water bottle is within reach. In addition, if the water bottle is in plain site it is easier to remember to take a zip every once in a while and avoid dehydration and the headaches that go hand in hand with it. If you’re planning to use your backpack as a carry-on or a commuter bag, a backpack with wheels and a long handle might be a good choice for you. I think we all know this feeling of aching shoulders after carrying our bags from terminal to terminal at an airport for hours on end and it ain’t great! So making your life easier by investing in features like wheels and a long handle might be worth it for you. Everyone has a bit of a different preference when it comes to the look and feel of their backpack. What you shouldn’t compromise on however is the material. You want your bag to be durable and waterproof. Most of you will probably also care about whether or not the bag is vegan and cruelty-free. Let’s face it: Commuting is annoying and not evern your favorite podcast can change that. 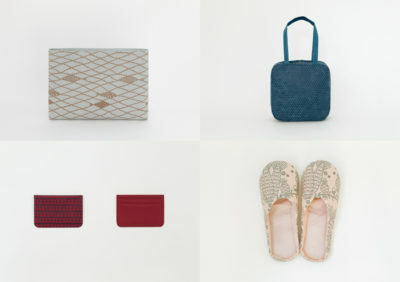 The bags we want to introduct to you in this section are designed to help you take a little bit of hassle and stress out of your daily commute. View Price and Details . If you’re planning a get-away and want to comfortable carry everything you need with you, one of these weekender backpacks might be a perfect choice for you. They’re spacious enough, yet not as bulky as your average duffel bag. If the “Great Outdoors” is your second home, have a look at the backpacks below which are ideal to get you to the peak of the mountain. They’re designed for an active lifestyle and perfect companions on your next adventure. If it sometimes feel like the airport is your second home or you simply wanna be more comfortable on the next trip you make, the backpacks below are perfect for you. They are designed to be perfect companions as you make your way through yet another security control. Carrying all those books and maybe even a laptop around on a daily basis can be quite a chore for the back. 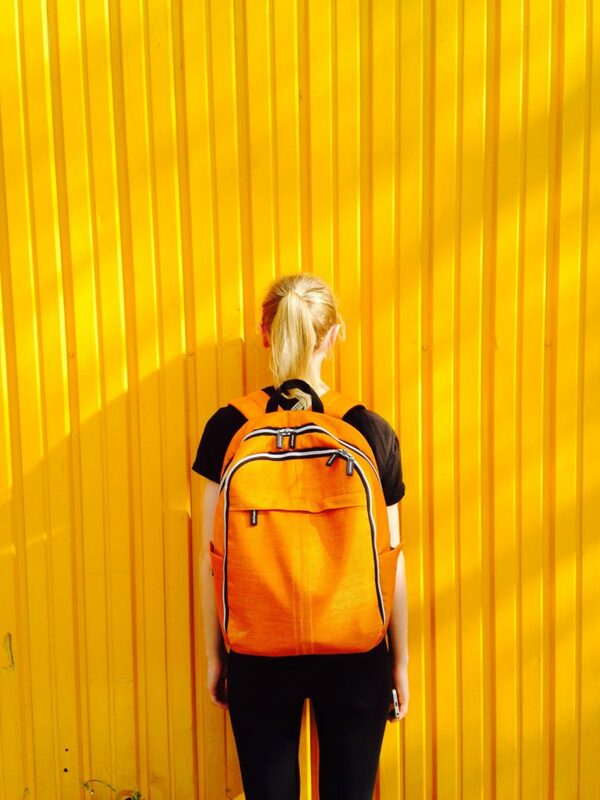 The backpacks below ease your pain and make going to class just that little bit more enjoyable. We’re sure you’ll even see your grades improve! Functionality and style can go hand in hand, when it comes to backpacks and the ones below prove it. It you want a practical bag, with a cool look, one of those backpacks might just be perfect for you. 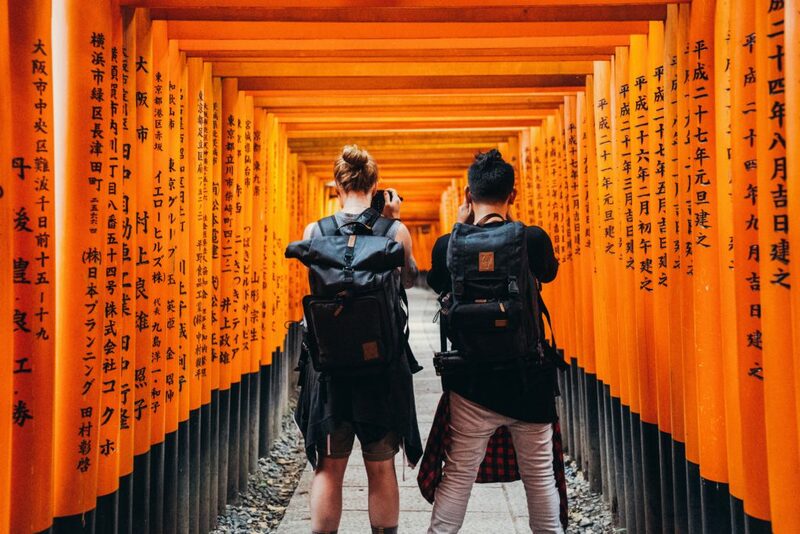 If the functionality of your bag isn’t the main concern and you’re looking for a bag to compliment your style, check out our roundup of vegan mini-backpacks. What is the backpack shown in the top photo. Woman wearing tan backpack in city street. Hopefully it’ll look as nice as the one in the picture!